Ford has no plans to sell the Focus wagon in North America. The Geneva auto show today was the setting for what Ford Motor Co. executives consider one of their most important world debuts this year: the next-generation Focus wagon. The Focus wagon is crucial for Europe because about one-third of all Focus customers select this body style. In some markets, such as Italy and Germany, the wagon represents more than 50 percent of all Focus vehicles sold, the automaker said. "A key strength of the Ford Focus range in Europe has always been its wagon, and its popularity is second only to the five-door," John Fleming, Ford of Europe chairman, said in a statement. "These customers want the extra space and flexibility a traditional wagon provides, yet they still expect all of the technology, great driving dynamics and superb styling. 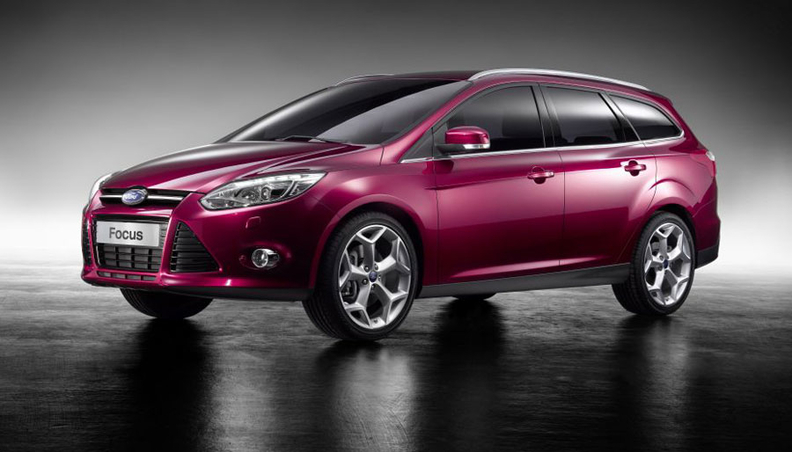 We believe the new Focus wagon will more than satisfy their requirements in every way." The wagon adapts the kinetic styling themes seen on the four- and five-door models. A Ford spokesman said there are no plans for sales in North America, where wagons are not as popular. The Focus wagon is the fifth revealed vehicle developed on Ford's new global C-segment platform. The platform will underpin at least 10 vehicles that will be sold worldwide and will account for 2 million units of production annually by 2012, Ford says. Ford unveiled the Focus C-Max and Grand C-Max compact minivans last fall at the Frankfurt auto show and the next-generation four- and five-door Focus models in January at the Detroit auto show. One of the vehicles that has yet to debut is the next-generation Ford Kuga crossover. Ford has not revealed whether the Kuga name will be used in the United States or whether it will be called the Ford Escape. Additionally, Mercury is expected to sell its version as the Mariner. Also in Geneva, Ford confirmed that a performance version of the Focus is planned and that it will be powered by a four-cylinder Ecoboost engine. The unnamed vehicle will be sold globally. The details and time frame were not announced. "We want to reassure enthusiasts of Focus performance models that we have a plan for them as well," Derrick Kuzak, Ford's group vice president of product development, said in a statement.